Ralph Vaughan Williams's The Lark Ascending has been voted best classical piece of music by radio listeners for the second year running. The piece, a musical version of an English landscape, came top in the Classic FM Hall of Fame poll, which attracted more than 100,000 votes. His Fantasia on a Theme of Thomas Tallis also came third behind Rachmaninov's Piano Concerto no 2. Pieces by Beethoven took fourth and fifth place in the survey. The accolade comes half a century after the composer's death - he was born in Gloucestershire in 1872. He led the way in collecting folk music and carols that might otherwise have been lost after falling out of usage. His music reached a mainstream audience through symphonies, hymns and film scores known for their quintessential "Englishness". 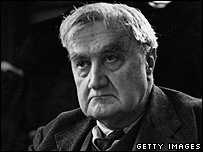 Darren Henley of Classic FM said: "The British public have spoken and declared Vaughan Williams their champion. "In the 50 years since his death, Vaughan Williams has cemented his position as among the best-loved English composers of all time." In total 12 of his pieces feature in the top 300 compositions on the list. But the composer with the most entries was Mozart, who has 22 entries in the top 300. He is followed by Beethoven with 20 and Bach with 14. Among the living composers recognised on the list is Paul McCartney for his recent classical composition, Ecce Cor Meum , which came in at 208th.